You may have been working or maybe you were distracted with important deadlines, but April 27-May 5, 2018, were BIG days. 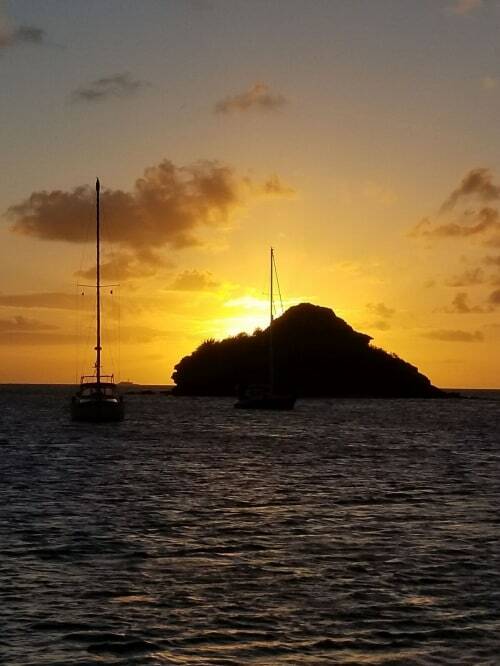 For two special winners, these were eight big days of travel in one of the most beautiful areas of the western hemisphere, Antigua – located in the Caribbean Sea. 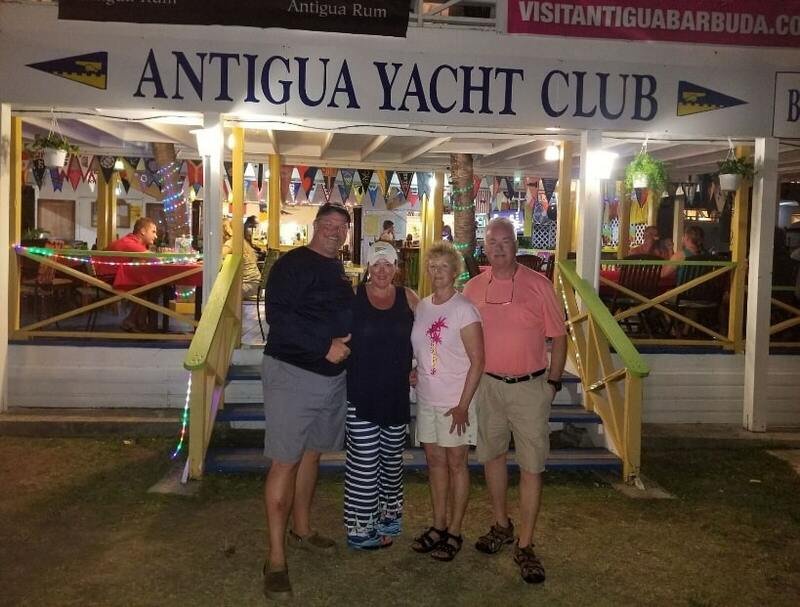 This amazing vacation adventure aboard a sailing catamaran was part of a giveaway, which ended early 2018, and was sponsored by Dream Yacht Charters, Pantaenius Yacht Insurance, Yacht Solutions, the Toronto International Boat Show, and Great Lakes Scuttlebutt magazine. 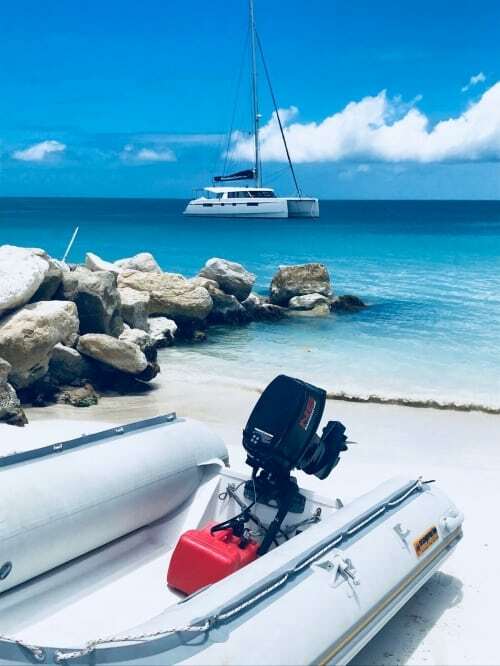 The giveaway included an all-inclusive trip to Antigua during Race Week to experience the beauty and excitement aboard a crewed catamaran, food and drinks and airfare included. 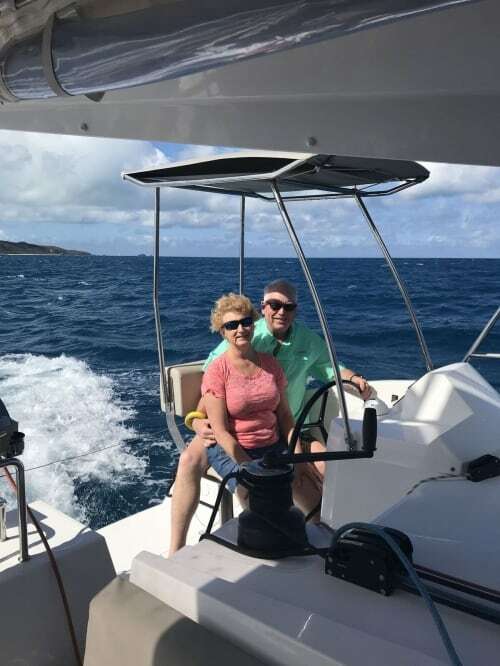 For this trip, Craig and his wife of 36 years, Leslie, both from Fenton, Michigan, made their new home aboard a 2017 Bavaria Nautitech 46 Open. Day five brought them to Mamora Bay and the St. James Resort, which offered the use of a couple of water toys and a playful, spontaneous race of their own between Team Craig &Leslie versus the crew ensued. 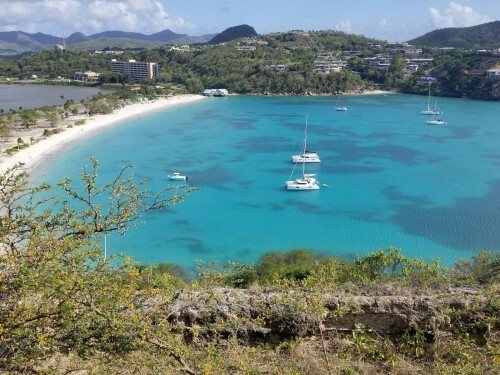 The final few days of the adventure included shopping, multiple beaches, a trip to Carlisle Bay, and a short stint at the Carlisle Bay Resort where a freshwater pool and delicious meals awaited. “I’m so glad we got to go. I’d go again in a heartbeat,” concluded Craig, passion in his voice. Many thanks to our sponsors for helping send this couple to experience a trip of a lifetime! Visit dreamyachtcharters.com, pantaenius.com, torontoboatshow.com, or theyachtsolution.com and discover companies that want to make your boating lifestyle all it can be! And, watch out! Yacht Solutions and Great Lakes Scuttlebutt are teaming up again and a new yacht vacation giveaway is in the works. Additional details will be released in future issues. In the meantime, you can take your exotic excursion today by contacting www.theyachtsolution.com.